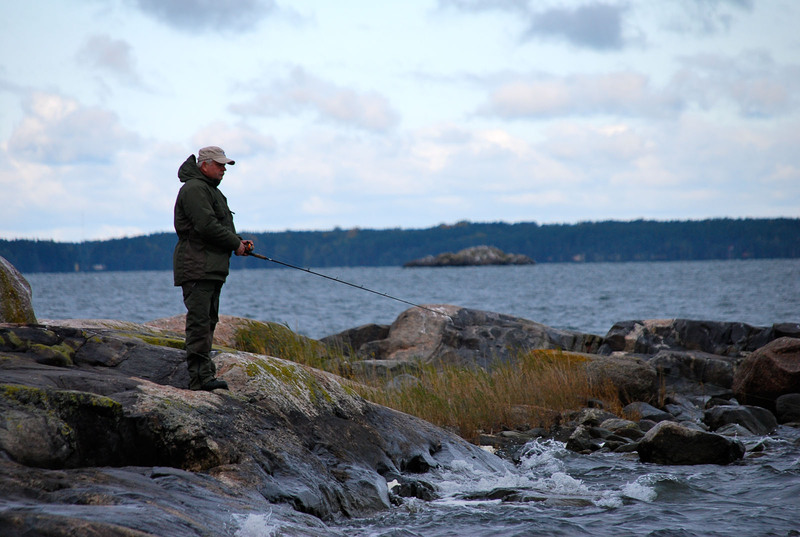 When on a fishing trip, you should stop every once in a while to calm down and take in the surrounding scenery. Take a moment to close your eyes and think of the colours that stand out from the environment around you. When you open your eyes again and go to your tackle box, picking a lure that best matches those colours might yield surprising results. It must have been three decades ago that I first stumbled upon the aforementioned theory in some fishing-related publication. Back then, when the mind was more open to all things new, I even applied it in practice until I entirely forgot about it for years. It was last autumn when this teaching from the past came back to me on a sea fishing trip where the fish weren’t particularly cooperative. The subsequent success I had made me think of all those other trips where I’d had trouble picking the right colours. If only I had remembered sooner! At sea in the summer s I’m writing this, the weather outside is like a glass of good long drink; cold, grey and visible through frosted glass. Luckily, the colours present in different places at different times of year can also be studied from photos. The attached picture is taken at sea in the summer. The colours are slightly enhanced on purpose to give a stronger impression. When you close your eyes, your mind’s eye sees that the scenery is dominated by the blue of the sea and the sky, to which the sun peeking through the clouds lends a yellow hue. The plant life and the leaves in the trees bring strong greens into the picture. The rocks on the shores make a passing impression of light colours. When you consult the Räsänen colour chart after looking at the picture and closing your eyes for a moment, your eyes will first gravitate to the colour scheme GR/FYe-S. I didn’t have this particular colour in the tackle box when the picture was taken, but I wasn’t far off with FYe/GR/BLU/W-B, which contains green (GR), blue (BLU) and white dots (W) to signify the rocks. The fluorescent yellow (FYe) is stronger than the yellow hue of the sun, but sometimes that sensory overkill might actually work in your favour. And on this trip at least, the colour choice was bang on and the validity of the colour theory was bolstered once again. 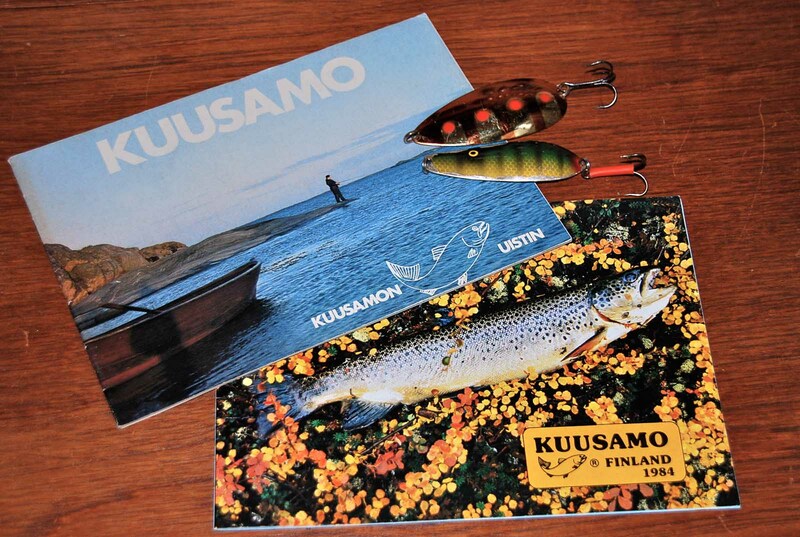 The sizes and colours found in the Kuusamon Uistin spinner collection are especially well-suited for very murky inland waters and for catching salmonids. When you arrive at the river bank and marvel at the splendour of the autumn colours, it is almost self-evident that you do not pick the blue and white (BL/O/BLU-S) Kuf-lippa to be your number one lure. However, you should never be too uncompromising. On some especially challenging days the completely abnormal colour scheme might just work. The pike might well strike at a blue and white lure in the dark autumn waters even if perch and salmonids steer clear of it. The entire family of Loimu spinners would be well suited for fishing in the scene depicted above; their stripes already imitate the colours of autumn foliage. A quick glance at the colour chart of Kuf spinners also shows that about half of the chart represents these colours in different ways. The red-yellow FYe/FR-B and the sunrise-coloured BLU/FR-C would be great choices for this situation, for example. Alternatively, when you look at the colours of this small trout caught at the Kitkajoki River and close your eyes, you’ll have the impression of three primary colours. Now, you might well be able to guess what the colours of the Volframi spinner in the fish’s mouth are, even when you can only see its copper backside. The “eyes closed” method alone does not help you choose irritant colours. After all, you will never find a scene that looks like a pink-white Kumma (colour 108) or a fluorescent yellow Tundra (R/FYe-S). If, for example, the waters have become muddied, colours that are a lot louder than the surroundings are just what you need. Sometimes the appetite of fish is affected by barometric pressure, the stage of the moon or other such strangeness that does not seem to visibly change the conditions at the fishing spot. If the lure mimicking the colours of the scene isn’t working, you should go the opposite way and try a sensory overload. 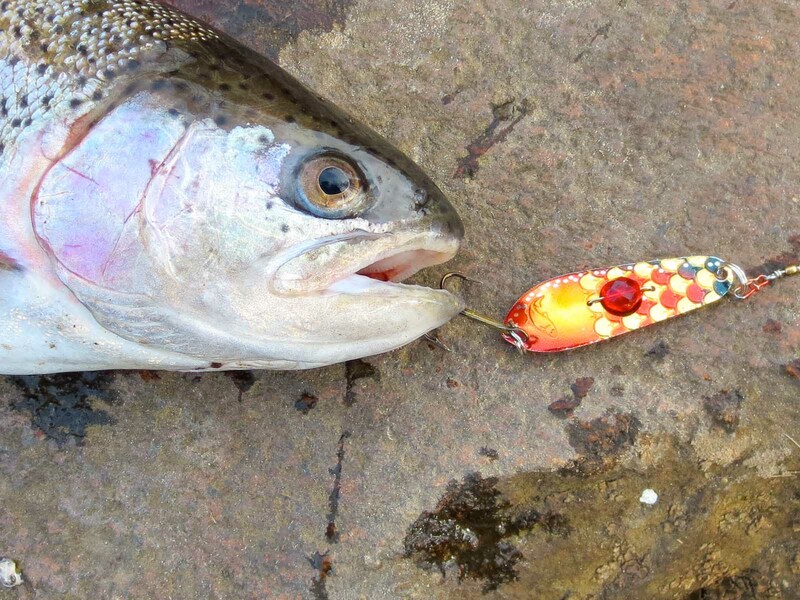 Some people believe that lure colours only exist for the benefit of the angler. This is true, in a way, as very few fish own a wallet. 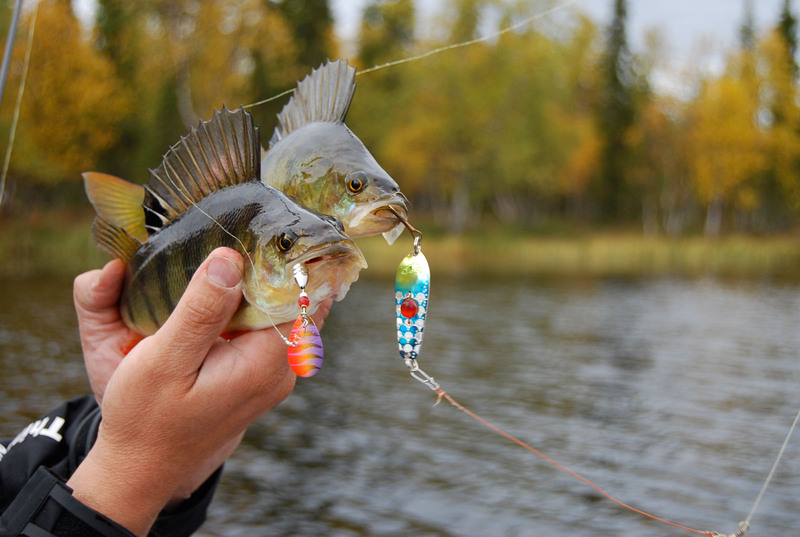 On any given fishing trip you might be able to catch the odd fish using just about any colour. 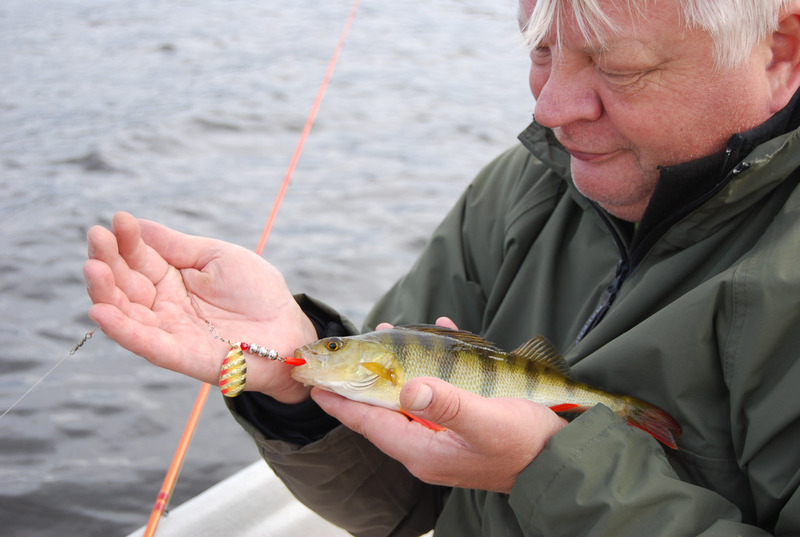 But we’ve actually tested spinners on a small lake teeming with perch and achieved statistical differences of dozens of fish between the different colour versions of the same spinner. Instead of buying many different types of lures, it may sometimes be smarter to get several different colours of the same tried and tested favourite to suit different conditions.